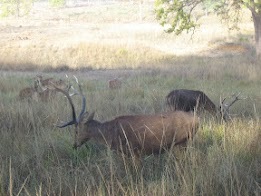 This Barasingha ventured very close to our jeep. A follow up post to the earlier one on my Kanha trip. ICP: We were told that the Kanha zone is called a premium zone because tiger sightings are more here. Will we see a tiger in this zone? Guide: Zones are demarcated for human convenience. For a tiger, everything is forest. How will it know which is the premium zone? ICP: I have read that the tiger attacks a prey thrice and if it fails, it gives up and walks away. Is it true? Guide: What? The tiger doesn’t have such logic. Once it decides on its prey, it attacks ruthlessly till it is killed. Guide: The forest guides use elephants for patrolling. In case there is a tiger sighting, you too can travel on elephants and see the tiger at close quarters. ICP: Isn’t the tiger afraid of the elephant? Guide: The tiger is the king of the jungle. Why should it be scared of the elephant? ICP: What if a lion comes? Will the tiger be scared now? Guide: In India, lions are found only in Gir in Gujarat, I thought you were at least aware of this. Guide: Have you come for the safari before? ICP: Yes, we came in the morning. Guide: What did you see? ICP: We saw 3 types of deer, the bison, many types of birds but no tiger. Guide: All birds and animals make 3 types of calls – the normal call, the mating call and the danger call. We recognize whether the tiger is around by listening to these calls. Now, what you hear is a mating call given by a bird. ICP: Will the tiger come now? Guide (a little irritated): Why should the tiger come when a bird gives a mating call? ICP: Will the tiger think I am a deer and attack me? 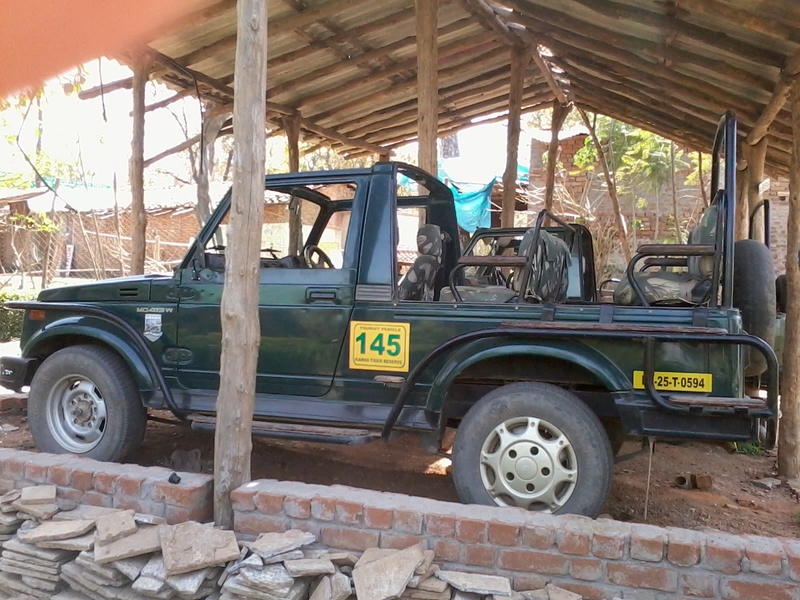 These sort of jeeps are the only ones permitted inside the sanctuary. 1 driver, 1 guide and only 5 tourists are allowed per jeep. This piece is hilarious !!! Nice conversation.. Could be a stage play in an extended format.